If you’re in need of a break and want to stay at a nice hotel for free, look no further than the “Marriott Rewards Premier Credit Card” from Chase. I took advantage of this card a couple years ago when the sign-up bonus was a handsome 100,000 Marriott Rewards points, but it’s still very attractive today thanks to the 75k sign-up bonus. The current offer for the Marriott Rewards credit card is pretty appealing – spend just $3,000 in three months and earn 75,000 bonus points plus a minimum of two points per dollar spent. That works out to 81,000 Marriott Rewards points, assuming you don’t do any of that spending in the higher point-earning categories. You can actually earn even more if you happen to spend at a Marriott, which earns 6X per dollar. So the worst you can do here is 81,000 points assuming you hit that minimum spend. To sweeten the deal even more, you can add an authorized user and earn another 7,500 Marriott Rewards points when they make a single purchase with the card. You just have to add that authorized user during the first three months and make sure the first purchase happens during that time span as well. Pretty simple, really. 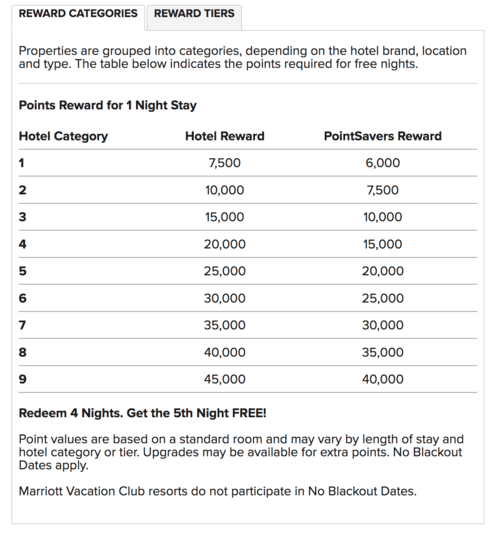 Altogether, you can fill your Marriott Rewards account with around 90,000+ points, which is enough for five free nights at a category 4 hotel with points to spare. 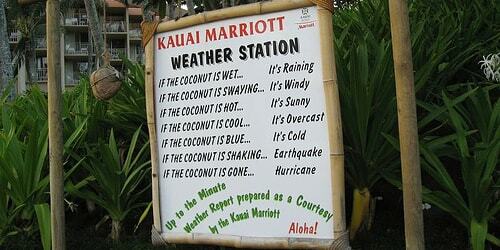 You’re also not far off from a 5-night stay in a category 5 hotel, which requires 100,000 points. 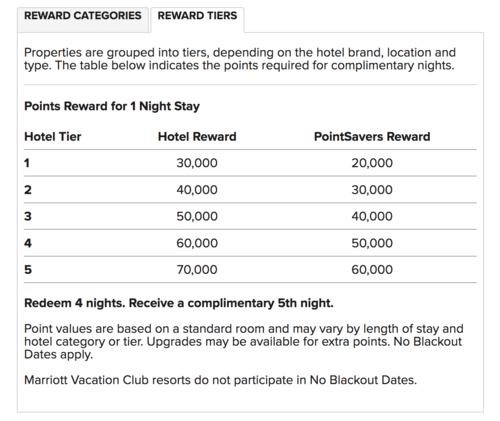 If you’re able to find a PointSavers Reward, you can actually get the higher category room for free with just 80,000 points. A year ago, I booked a room at the Wailea Beach Resort in Maui for five nights. I got the fifth night free, but it set me back 160,000 Marriott points because it’s a category 8 hotel. It wasn’t a problem though – I simply transferred some of my Chase Ultimate Rewards to Marriott to cover the shortfall. They transfer at a 1:1 ratio. If you happen to have Chase UR, you can do the same thing if you want to stretch your points a little further. The only downside to the Marriott credit card is the $95 annual fee, which isn’t waived the first year. But it’s a small price to pay for a hotel redemption that could normally set you back a couple thousand dollars. If you keep the card for a second year, you’ll also earn a free night stay at any property with a redemption level up to 35,000 points after your account anniversary. Depending on where you book, there are some decent hotels at that level. There are also a lot of basic ones too. Another plus is that the Marriott Rewards points don’t expire as long as you make a purchase with your card every 24 months. That means it doesn’t take much to keep your account active. Making it easy to earn 150k+ points in no time at all! I originally applied for the Marriott Rewards Premier Business credit card, which currently has the same exact sign-up bonus as the personal version, but a slightly higher annual fee of $99. The good news is that it doesn’t seem to be affected by Chase’s 5/24 rule because it’s a business card. So for those who may have been churning a bit too much lately, this card might still work. Anyway, I now have the personal version of the card and plan to book another free hotel stay next year, perhaps in Kauai instead of Maui. To increase my points haul, I could also have my spouse open the card, at which point our points could be combined. That would mean the $3,000 in minimum spend each would get us five free nights in a category 8 hotel. We also wouldn’t be far off from the category 9 redemption, and could in fact get it too if we became authorized users on each other’s cards. One last perk I should mention. You can also book Ritz-Carlton and Starwood hotels with your Marriott points. Your Marriott points are 1:1 for Ritz-Carlton redemptions, but their reward tiers are pricier. For example, their lowest tier is 30,000 points per night, and their highest is 70,000. The key, if you book a Ritz-Carlton hotel, is to find a sweet spot where it’s not absurdly expensive for a nice property. You can also transfer your Marriott points to Starwood at a 3:1 ratio. That means 90,000 points will get you 30,000 Starpoints. In case you didn’t know, Starpoints can go a lot further than Marriott points, so despite the smaller points balance, you can book a lot of free nights. The takeaway here is that you’ve got a lot of redemption options, with three major hotel chains rolled into one. You can also transfer your Marriott points to airline frequent flyer programs, or to Starpoints, and then on to frequent flyer programs and earn that lucrative transfer bonus. This amazing flexibility and the big sign-up bonuses are why I love the Marriott credit cards from Chase. They allow you to go somewhere cool and take a week-long vacation at a nice resort, instead of say just two nights at some hotel. Tip: There’s still a Marriott 150k sign-up bonus out there, but it’s not all it’s cracked up to be. At the moment, there are a few ways to earn Marriott points without making any purchases and/or staying at their hotels. If you link your social media accounts to Marriott, you can earn points right off the bat. Currently, you get 250 points each for linking Twitter, Facebook, and Instagram. You can earn an additional 125 points each when you follow Marriott on Twitter and Instagram. That’s 1,000 Marriott points right there for a couple minutes of work. Then you can tweet each day and earn another 50 points every time. During NFL season, they also have a weekly trivia question where you can earn 1,000 points when you tweet and answer correctly. As you can see, the points can really add up over time for minimal effort, especially if you and a spouse (or even the whole family!) are doing this. One last thing; you can to earn points for doing practically nothing via referrals. If you refer a friend, spouse, family member, or anyone else to the card, you’ll earn 20,000 Marriott points when they’re approved for the card. Recently, a 120k sign-up bonus surfaced that earns 10 Marriott points per dollar spent, on up to $12,000 in spending during your first year as a cardholder. It appears to be targeted. However, if you do the math, it requires spending a hefty $12,000 to earn 120,000 Marriott points. As noted, the standard 75k offer only requires spending of $3,000 for 81,000 points. That’s quite a jump for another 40k points. You might be better off going with the 80k offer, adding an authorized user, and then participating in Twitter and other social media campaigns to get your points total up above 100k. Doing so would require a lot less spending and get you close to the same level. In fact, you could apply for this card and a Starwood card and get even more Marriott points for a lot less spending.